The three weeks of the NCAA men’s basketball championship tournament are my favorite three weeks of the year, every year. I love college basketball and I love March Madness. There are certain teams and certain coaches that my wife and I always cheer for (or against). Since both of our children went to the University of Tennessee, this year we cheered heavily for the men’s team, who made it to the Sweet 16! And we generally support every SEC school, with the exception of John Calipari and the University of Kentucky Wildcats! But regardless of who’s in and who’s out, we get completely wrapped up in the event every year. Factor in that a billion of Warren Buffett’s dollars were on the line and this year was even more compelling. But Buffett didn’t need to worry; his money was safe. Not a single bracket made it out of the first weekend intact; there were just too many upsets! It didn’t matter where a team was seeded. It didn’t even matter which big-time coach was guiding them from the sidelines. The only thing that mattered was who executed when it really mattered. Just ask Duke, Oklahoma and Syracuse – highly-seeded teams that didn’t execute when they needed to and exited the tournament early. And the teams that beat them – low-seeded Mercer, North Dakota State and Dayton – pulled it together at just the right moment. That same lesson applies to the marketing research industry too. It doesn’t matter how big your firm is. It doesn’t matter what your strategic plan says. It doesn’t matter what your reputation is. It doesn’t even matter who your well-known business owner is. You’ve still got to execute! Make no mistake, I am a huge fan of planning and strategy. I believe in hiring and training well to put together the best team you can. I believe in investing in innovation and resources so that your team has the tools they need to be successful. But all of that preparation doesn’t mean a thing if your team doesn’t execute for your clients and work to exceed expectations with everything they do. Here are 11 tips to keep in mind to help you execute at a high level. 1. Don’t just meet deadlines – beat deadlines. Beyond completing the overall project on time, strive to meet all of the little deadlines too. For the big stuff, take a look at all of your major operational processes and see where you can trim out time. For little things, like a project status report, tell your client you’ll get it to them by 3 p.m. tomorrow but deliver it by noon. Those little wins add up. 2. Come in under budget. Just like beating deadlines, look at all things – big and small. While you don’t want to be a bother to your client, there should never be any questions as to where things stand or what’s going on with a particular project. You might want consider a tool like Basecamp for managing projects and client communication. If you pay attention to the little things, the big things will take care of themselves. It’s the little things that will fall through the cracks and leave a bad taste in your client’s mouth (e.g., you deliver the final report to them on time but it has typos; you invoice them regularly but they’re incomplete; etc.). Eyes open! Are your PMs (and senior execs, for that matter) easily accessible to your clients? Do they have your PMs’ direct lines? What about their cell phones (for calling and texting)? There is nothing more frustrating for a client than needing to chat and not being able to get hold of you. Related to “be accessible,” if a client leaves you a voicemail, e-mail or text message, how quickly are you responding? A few minutes – great! A few hours – not acceptable! Don’t wait to hear from your client. Pick up the phone (don’t e-mail every time!) when there’s something you need to discuss. Do things without asking. Take charge of the relationship. What’s a client to do when you’re out sick? Or when you’re just away from your desk and they have an urgent issue? Have a backup – someone who is very familiar with the project and who can respond to the client or, at the very least, take a message and intelligently relay it to you when you return. 9. Hire and train well. This is more of a big-picture and cultural issue but having great people on staff is the first (and best) step to executing effectively. Enough said. You’re never flying solo on a project; you always have outsiders who help deliver the results. If you’re a quant shop, you need panel providers. If you’re a qual shop, you need focus group facilities. Remember, whomever you bring on to help is your responsibility. Manage them well so they also execute flawlessly. Things will occasionally go bad. Mistakes will be made. Deadlines will be missed. Someone will forget to do something. We’re human – it happens. And when it does happen, don’t delay. Get out in front of it, proactively communicate with your client, take the blame, explain what happened (briefly), commit to fixing it and then go fix it. How you handle the miscues will tell clients a lot about your firm. It’s not always the better team that wins; it’s the team that executes better when the game is on the line that finds success! And when your team executes – and exceeds expectations – those clients keep coming back again and again. P.S. 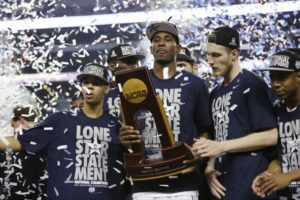 Congratulations to the UConn men, who beat Kentucky in a thrilling championship game! This article originally appeared in Quirk’s: http://www.quirks.com/articles/2014/20140427-2.aspx.